While this site is mostly Taiwan related we get a ton of questions about moving to China as well. While we don’t live there we’ve talked to many people who do and below are 4 tips on what to do before your move. China is the most fascinating country on Earth, with an incredible history and an even more incredible future stretching in front of it. It’s also the world’s fastest growing economy, which is great news for Chinese citizens and for those making a new home there from further afield. Increasing numbers of people from across America, Asia and Europe are making China their new home, with many coming to work in the Chinese education, technology, engineering and business sectors. Moving to a new country is a big step, but with the right preparation it can go smoothly, so here are our four recommendations for people starting a new life in China. China has many different languages and dialects, and English is widely spoken here too, especially in the business world, but by far the most common language used is Mandarin. It’s the official language, and spoken by an estimated 955 million people in the country. It’s the primary language used in schools and in commerce, so learning Mandarin before you travel can help your new life get off to a perfect start. The good news is that Mandarin is now widely taught across the world, and there are lots of apps and online resources that can help you grasp the basics of the language. With these linguistic building blocks already in place, you’ll become proficient much more rapidly once you immerse yourself in the new country and the new language. Purchasing high quality health insurance is crucial if you’re staying in China, whether that’s going to be for ten days or ten years. Your health is the most important commodity that you have, but if you don’t have the right insurance in place, you could be putting it at risk. That’s why it’s vital to seek expert insurance cover from specialist insurance companies operating within the Chinese system. They’ll help you compare insurance policies to find the cover and price that’s right for you, so that if you need to pay for a prescription, physiotherapy or a hospital visit, you won’t have to worry about where the money is going to come from. One of the greatest things about moving to China is seeing a new culture and a different way of doing things, but it pays to be aware of some of the major differences, especially when it comes to finances. You’ll have no problem using your cards in major retailers in the larger cities like Beijing and Shanghai, but in general you’ll find them less widely accepted than in the United States, for example. Folding cash is king here, so always carry some with you. It also makes sense to open a Chinese bank account as soon as possible, so that if you lose your cards you won’t have to wait weeks for a replacement to be sent to you. China is a highly regulated country, which is partly why it’s become so successful on the world stage in recent years, but you have to be aware of its laws and follow them carefully. The main way that this manifests itself is that you’ll have to ensure that you have the correct visas in place to live in and work in the country. These can take longer to organize than you might have anticipated, so ensure that you start the process well in advance of your move. China is a land full of surprises, and you’ll see new things every day, however long you live there. 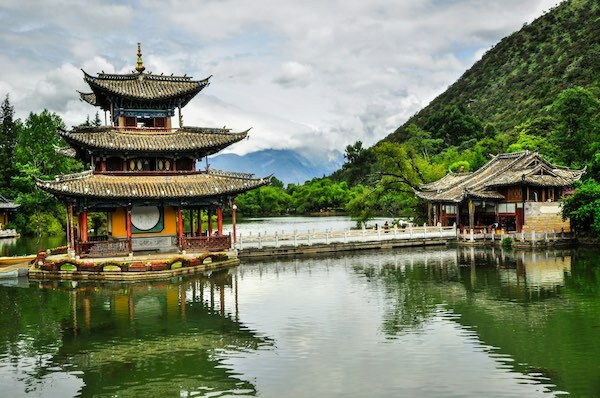 Having appropriate health insurance, the correct visas, a Chinese bank account and at least a basic understanding of Mandarin will help your new life in China get off to the perfect start, and it could be the best move you ever make.